These recommended health screens are a bit more aggressive than the normal ABC recommendations. This is what we do at Gentry Boxers. 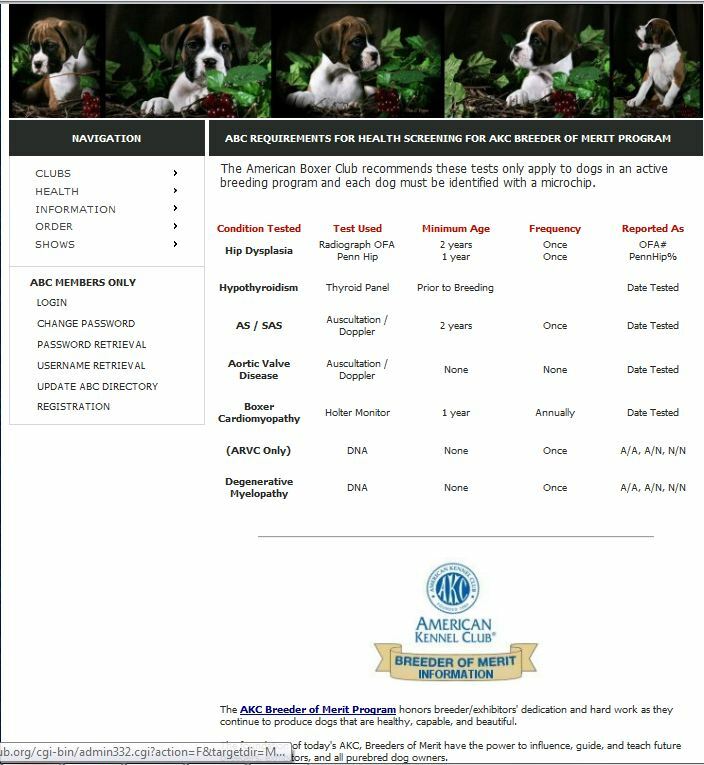 These screens conform with the Breeder of Merit program and exceed the ABC recommendations. 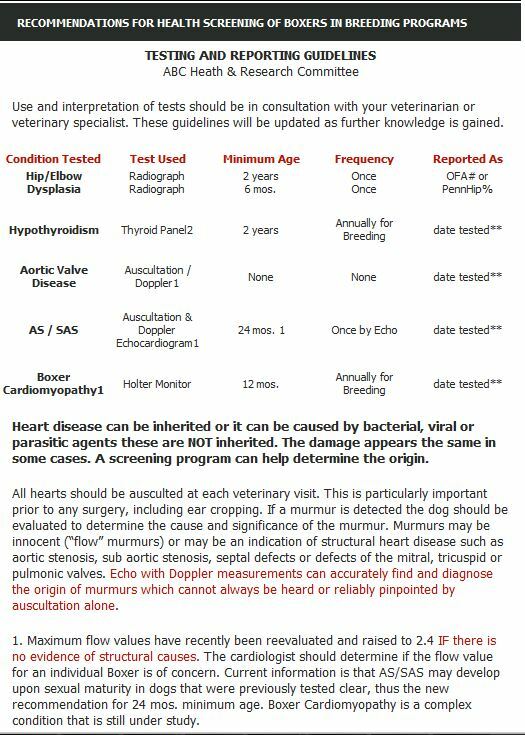 We use Board Certified Cardiologists for doppler ultrasounds of the heart to determine flow rates and recommendations for breeding each dog. We own a digital heart monitoring system that is available for rent to those who wish to run annual 24 hour monitoring sessions affordably. Screens are run with positive identification (microchip verification) of the dog. All dogs are DNA profiled.